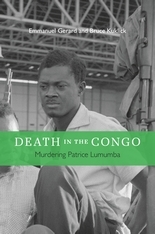 Death in the Congo is a gripping account of a murder that became one of the defining events in postcolonial African history. It is no less the story of the untimely death of a national dream, a hope-filled vision very different from what the war-ravaged Democratic Republic of the Congo became in the second half of the twentieth century. When Belgium relinquished colonial control in June 1960, a charismatic thirty-five-year-old African nationalist, Patrice Lumumba, became prime minister of the new republic. Yet stability immediately broke down. A mutinous Congolese Army spread havoc, while Katanga Province in southeast Congo seceded altogether. Belgium dispatched its military to protect its citizens, and the United Nations soon intervened with its own peacekeeping troops. Meanwhile, behind the scenes, both the Soviet Union and the United States maneuvered to turn the crisis to their Cold War advantage. A coup in September, secretly aided by the UN, toppled Lumumba’s government. In January 1961, armed men drove Lumumba to a secluded corner of the Katanga bush, stood him up beside a hastily dug grave, and shot him. His rule as Africa’s first democratically elected leader had lasted ten weeks. More than fifty years later, the murky circumstances and tragic symbolism of Lumumba’s assassination still trouble many people around the world. Emmanuel Gerard and Bruce Kuklick pursue events through a web of international politics, revealing a tangled history in which many people—black and white, well-meaning and ruthless, African, European, and American—bear responsibility for this crime.